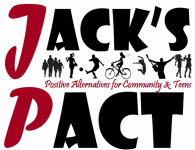 Our T-shirt Sponsors and donors are a HUGE reason we are able to raise significant funds each year at RJR to provide scholarships to students who represent our Jack's PACT mission and allow us to continue providing pro-social "positive alternatives" to kids in our community. Over the past several years we have awarded about $50,000 in scholarships to Falmouth students! Thank you in advance for your support!!! T-SHIRT SPONSORSHIP FORMS for donations $100+ are now available! A donation of any amount is always appreciated! Without your support, RJR would not be able to continue. We are most grateful for all your help to continue delivering our mission!